Rating: 4/5 - A satisfying read that’s worth every word. I have stolen princesses back from sleeping barrow kings. I burned down the town of Trebon. I have spent the night with Felurian and left with both my sanity and my life. I was expelled from the University at a younger age than most people are allowed in. I tread paths by moonlight that others fear to speak of during day. I have talked to Gods, loved women, and written songs that make the minstrels weep. My name is Kvothe. You may have heard of me. 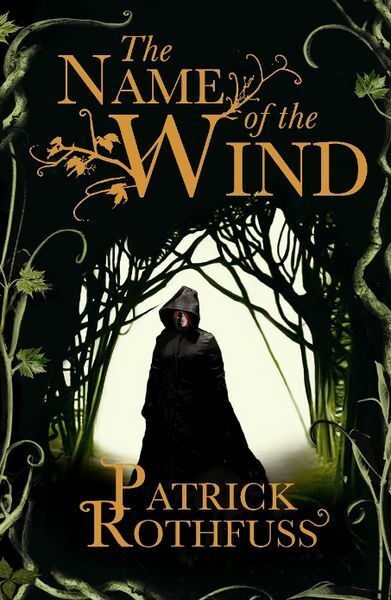 No doubt about it, The Name of the Wind jumped to the front of my To Read list because Patrick Rothfuss is JordanCon 2014’s Author Guest of Honor, and I want to be familiar with his work before I meet him. That said, I was pleasantly surprised by The Name of the Wind. Split between the present and the recounting of the past, it’s also divided between third person omniscient and first person viewpoints. There’s a structure to the book—and clearly the overarching trilogy—that Rothfuss has orchestrated with purpose, giving more tension to the narrative—which is good, because it falls into the coming of age category (a category that I find becomes tired easily). This structure paints Kvothe as a tragic figure, a regular-dude-come-legend, and it lends much interest to the tale he has to tell. Of the two viewpoints, I found the first person voice to be more natural—another good thing, because it’s the lion’s share of the book. Kvothe recounts his life, with a self-reflexivity to his tale that’s entertaining—occasionally mentioning how “in stories” such-and-such happens, but his life is not so simple (heh). Overall, I found The Name of the Wind had a familiar feel to it—in a positive way. It reminded me of those comfort food books—warm and nostalgic—that make you eager to get back to reading. With its relatively short chapters and good pacing, it was rather addicting. Definitely looking forward to starting The Wise Man's Fear, and seeing what it has in store for Kvothe. Oooh, so happy you read this and even happier that you like it! I also recently 'read' both Name of the Wind and Wise Man's Fear on Audiobook. I also read them for Patrick Rothfuss coming to JordanCon. I think you'll like the second as much as the first. I like the 'coming of age' story being told by the person who came of age.